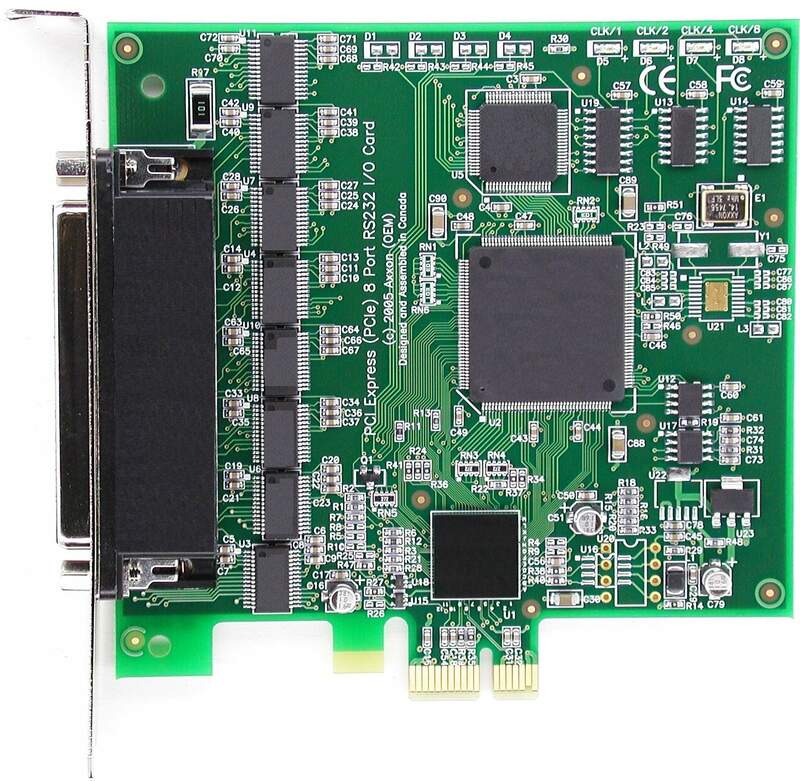 Looking for a PCI Express RS232 8S Multiport card ? Add 8S ports to your PCIe computer in seconds ! The industry's FIRST add-on 8 serial (16950) adapter for the PCI Express (PCIe) expansion slots. This cutting edge design permits a quick installation of 8 of RS232 serial to any brand of computer system using the new advanced PCIe expansion slots.This single slot adapter is shipped complete with a complex 8 port cable (HD78 to 8 of DB9M). Support is provided for Microsoft Windows 9x, ME, 2000, XP, XP64, NT4, 2003-32 bit, 2003-64 bit, QNX, OS/2 Warp 4.0 and Linux. Furthermore, Linux users will welcome the ease of installation of this advanced card by not having to recompile kernels, without embedding add-on device drivers, without inserting add-on modules. 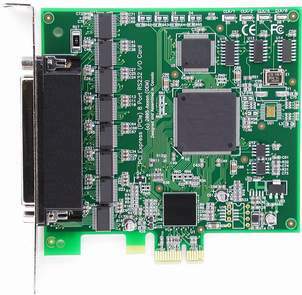 The Axxon LF662KB card is Plug & Play supported by all current Linux kernels. Count on Axxon to provide unrivalled no-charge toll-free (US/Canada) technical support by Design Engineers. Find out today why we are the #1 choice of international OEMs for PCI, PCI-X and now PCI Express designs. We welcome requests from volume integrators world-wide. Part # LF662KB is the RoHS & Pb-free compliant version of model IC0662KB. Standard Height Mounting footprint. 8 Port Complex cable included. 5 Year product replacement warranty. No charge unlimited technical support from Design Engineers. Call us at 1-800-361-1913 for details! All pages © Axxon Computer Corporation. All rights reserved.